Are you keen on being a part of a team dedicated to creating life-changing experiences for buyers and sellers across India? We give you the flexibility of building the career of your choice and the possibility to grow into a variety of roles across technology, product management, marketing, and strategy or business focused domains. Check out the open positions for our Gurugram office below. 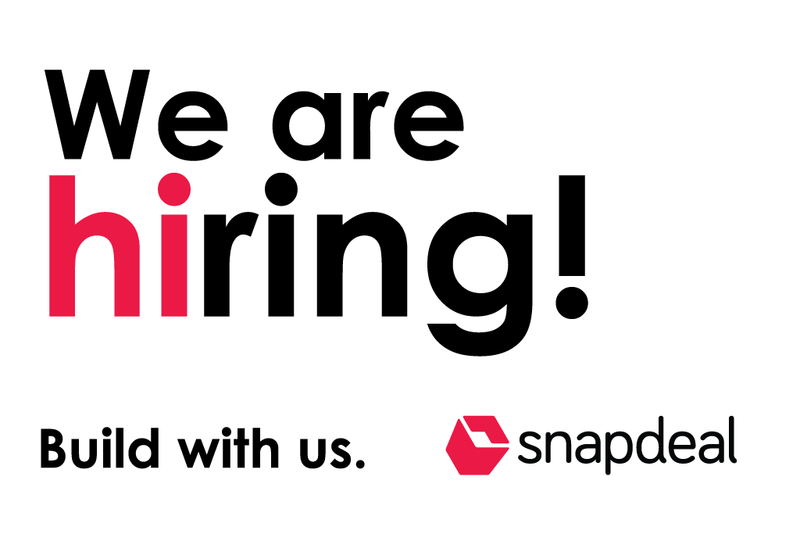 Share your CV with us ta@snapdeal.com with the job title in the subject line. Curious about our culture? Check out life at Snapdeal and read the stories of our rockstars.